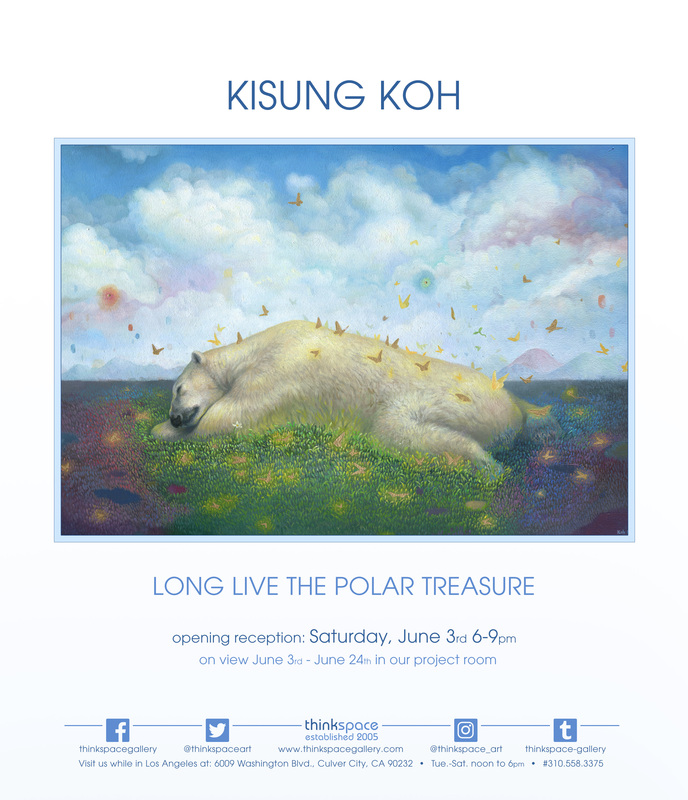 On view in the Thinkspace project room is Long Live the Polar Treasure, featuring new works by South Korean, Toronto-based artist Kisung Koh. 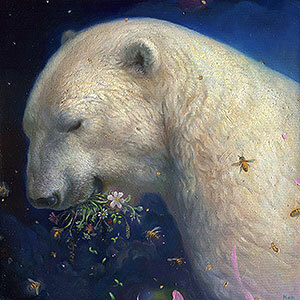 Koh’s first solo exhibition with the gallery is dedicated entirely to the majestic and endangered polar bear. The artist’s fascination and love for wildlife are evident in much of his practice. Exploring the spiritual potential of the wild and its stoic inhabitants, Koh draws analogous connections between animal and human plights.